We are extremely saddened by the loss of our Worthy Sister Marion Beecher, who went on to the Great Grange above February 22, 2011. Sister Beecher was an extraordinary lady with an amazing love for the Grange. She held many offices in her Community, Pomona & State Grange, but most notably had served Winchester Grange as Secretary for over 50 years, and 32 years as Secretary of the Connecticut State Grange. She served eight Connecticut State Grange administrations with honor and dignity, and her accomplishments have helped shape us into the organization we are today. 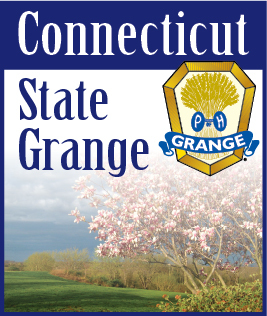 She will not only be missed by us in Connecticut but also by her many friends around the country that she and Bud developed as voting delegates to the National Grange during his term as Master of the Connecticut State Grange. Brothers and Sisters, please join me in expressing our heartfelt condolences and prayers of strength to Brother Ellsworth “Bud” Beecher on the loss of his loving and devoted wife; she will forever be missed, but will always be loved and respected.